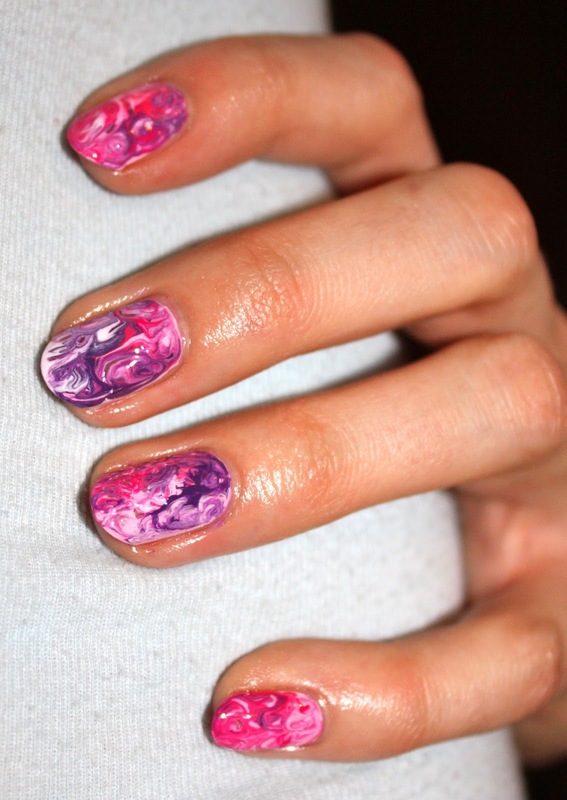 This 'dry' marble nail art is so easy to do and looks amazing. Since I applied it I haven't been able to stop staring at my nails. You can vary the colors to suit any occasion and because of the swirl design if you get any chips a couple days in, they won't be noticeable. 1. Apply one coat of your base color to all nails, I used Color Club Vintage Couture. 2. Working one nail at a time, apply dots of polish to the nail. 3. Using your dotting tool, quickly, but gently swirl all the dots into one another to cover the nail. You want to work quickly so the dots of polish don't dry, but also gently as pressing to hard will cut through your base color and show bare nail. 4. Continue the process for the rest of the nails. Allow to dry and apply top coat.